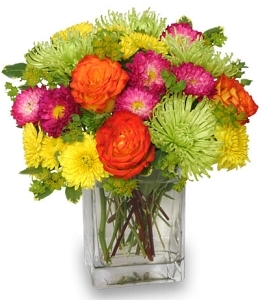 At YONKERS FLORIST- BELLA'S FLOWER SHOP, we deliver the freshest flowers and brightest smiles! YONKERS FLORIST- BELLA'S FLOWER SHOP is a professional local florist proudly serving Yonkers, New York and surrounding areas. Our friendly and knowledgeable staff is ready to assist you when you need flowers delivered locally or anywhere in the world. For your convenience, we also offer daily delivery service to local hospitals and funeral homes. Call YONKERS FLORIST- BELLA'S FLOWER SHOP in advance at 914-968-6005 to schedule your consultation.